Action packed from start to finish ! Great storyline and very well narrated by Scott Bick. 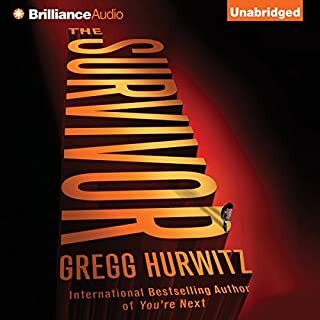 I found myself glued to this book, Gregg Hurwitz is the Master of suspense. If you enjoy this book, do yourself a favour and buy “They’re Watching & You’re Next” you want be disappointed. 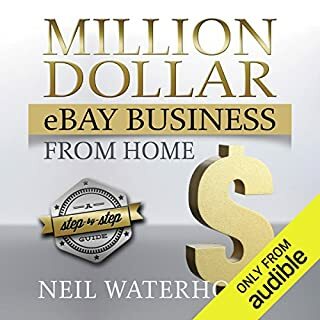 Neil walks the talk and doesn't just run his million dollar home eBay business; he teaches others to do exactly the same. "Anyone can do it, even if you don't have any money..." You don't need any money or previous experience, if you can use the internet, have access to a cheap digital camera, then you have all you need to become an eBay millionaire. 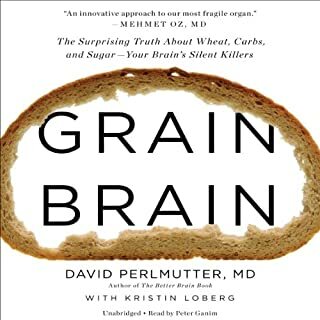 I found the content very useful especially from someone of the caliber of Neil.I also enjoyed Andrew's narration. If you want to know how to work an eBay business then buy this book. Are you ready to make money online? 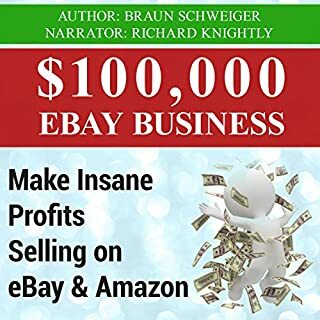 $100,000 eBay Business is your ticket to selling on eBay and Amazon. It's estimated that over half a million people currently make a living selling on eBay and Amazon. You can, too. It's just a matter of getting started, and scaling your business up. So elementary & incomplete.I paid for this...why? I got a lot of useful information from this audiobook. All the information was relevant. If you're starting out on your eBay journey, then I'm sure you'll find this book helpful. What started out to be a good distraction while traveling turned out to be a very inspiring book. This shows that with hard work and dedication.anything is possible. Buy this book, it's well worth it.. 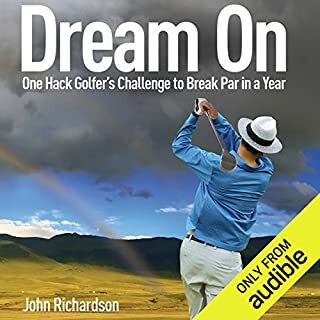 I have listened to this book several times, each time I collect a nugget. Once a happily married businessman, an avid golfer, and the proud owner of several luxury cars and three boats, conservative-minded Richard LeMieux saw his fortune change almost overnight. 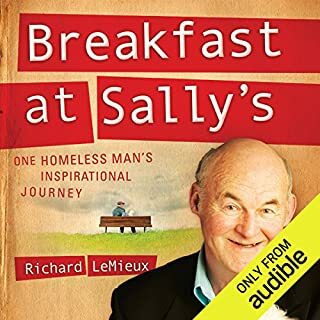 In this now classic memoir that has touched thousands of readers across the globe, LeMieux describes his descent into homelessness and his struggle to survive personal and economic disaster. Evicted from his home in 2002 and living with his dog, Willow, in a beat-up old van, LeMieux finds himself penniless and estranged from his family and friends. This guy is very inspirational. If you are at a low point in your life and need some inspiration, look no further. The questions at the end of this audio pose some serious thought, I really enjoyed it. 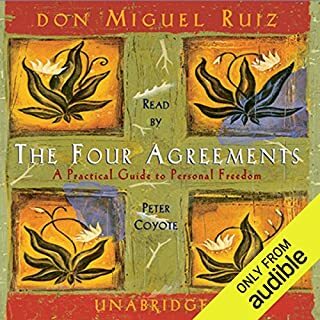 I listened to this audio, it made a lot of sense & I took action immediately. Now Gluten free for 2 weeks, I have lost around 5 kilos, my allergies hay fever has disappeared, my eyes have cleared up, no more black rings & I feel fantastic. I thought it was going to be hard to give up normal bread and cookies but I haven't missed them in the slightest. When you get the benefits that flow on by not eating Gluten, There is no looking back, no cravings, no side effects. WIN WIN WIN !!! 1993: Under deep cover, Nick Stone and a specialist surveillance team have spent weeks in the jungles and city streets of Colombia. Their mission: to locate the boss of the world's most murderous drugs cartel - and terminate him with extreme prejudice. Now they can strike. But to get close enough to fire the fatal shot, Nick must reveal his face. It's a risk he's willing to take - since only the man who is about to die will see him. 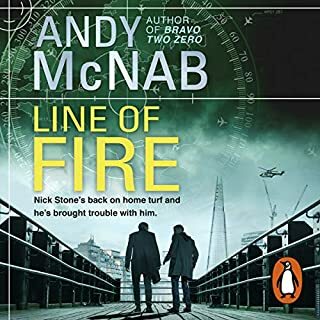 Andy McNab does it again. This guy is a genius, he takes you on the ride of a lifetime. 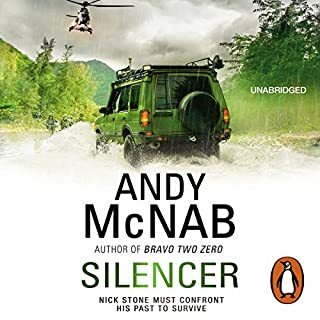 This is Andy McNab at his very best, I have all his books and this is a masterpiece. 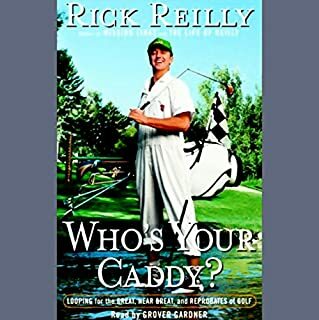 I don't write reviews at all, however after listening to Rick Reilly I felt compelled. What a fantasic time I had listening, laughing out loud. thoroughly enjoyed and awaiting his next book.